Well I learned a new technique and a very old technique at that this weekend. With the help of believe it or not Skype. A Lady onRavelry her name is Mairi, she helped me to figure out how to go about it all. 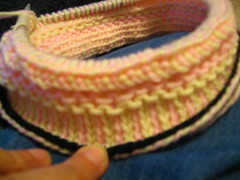 You can read more on the history of Twined Knitting aka Tvåändsstickning at Knitting Kninja. Apparently there are some great books on the subject which I have added to my wish list on Paperback swap and Amazon. Here is a picture of what I have been working on. It is basically a NOTHING a knitted sampler if you will. I plan to cast on for a pair of mittens, which I am sure will get tons of use here in TEXAS LOL. Perhaps someone who lives up north will be gifted. I just think the single color mittens look so classically elegant. 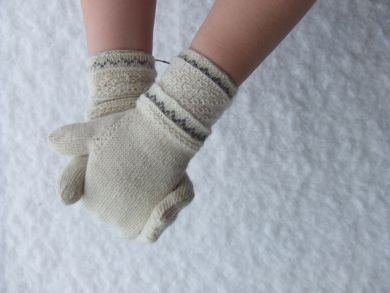 Ok I will confess it was these mittens they are what got me smitten with the whole process. Nothing else those beautiful mittens. I want a pair DANG IT!!!! !